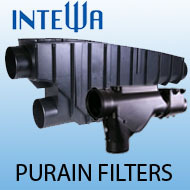 Browse Viqua's most advanced water filtration and purification technology. The most popular water level gauges on the market! By purchasing products from this site you acknowledge that the products purchased will be used for the collection of rainwater. Section 151.355 of the Texas Tax Code exempts rainwater harvesting equipment and supplies from sales tax. 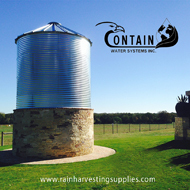 Rain Harvesting Supplies supports rainwater system professionals as they provide their clients with products that make rainwater harvesting easier and more effective than ever. 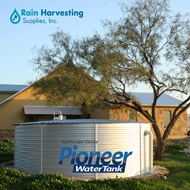 Rain Harvesting Supplies’ extensive online catalog includes a variety of pre-tank filtration, water tanks, pre-pump filtration, water pumps, UV sterilization equipment, and much more to satisfy needs of professionals and individuals who are passionate about rainwater collection. 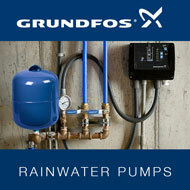 Rain Harvesting Supplies is a proud American provider of the following well-respected brands: Grundfos, Viqua, UVMax, Sterilight, Purain, Intewa, Yaktek, Pioneer, WISY and Gutterglove.